The post CIT discusses draft law to combat cybercrimes appeared first on Daily News Egypt. The post Samsung launches Galaxy S10, new additions to A Series in Egypt appeared first on Daily News Egypt. The post Technology reshapes future of desalination industry in Egypt: Metito senior managers appeared first on Daily News Egypt. Egypt has set out on a national plan for $20bn in projects through to 2037, in order to expand the supply of potable water to cope with the rapidly growing demand, which opened the gates for building more desalination plants around the country. The Africa Managing Director of Metito, Karim Madwar, told Daily News Egypt that the company allocates 20% of its investments in Africa for Egypt. Metito is an intelligent water management solutions provider. The Dubai-based company was founded by the Ghandour family in Beirut in 1958. In Egypt, the company secured its first water build, own, operate (BOT) concession for a water desalination project in Sharm El-Sheikh in 1999, built a plant to treat the Nile’s water in the Sixth of October City, and an 80,000 cubic-metre-a-day (cm/d) desalination plant in Hurghada. Metito recently commissioned the first 150,000 cm/d stream in Galila, and is building another desalination plant in Port Said. The desalination industry has changed in the past 10 years, thanks to technology solutions which reduced the costs and increased the quality of the water. The company uses reverse osmosis technology to reduce salt concentration in sea water from 45,000 partially permeable membranes (ppm) to 500 ppm, which is a water purification technology that uses a partially permeable membrane to remove ions, molecules, and larger particles from drinking water. The Africa Regional Operations Director at Metito, Mohamed Hemeida, thinks that technology has even more for the desalination industry, “In the past, we were using 11kW per 1 cubic metre of sea water, now driven by better technology solutions, we reduced the electricity usage to 3kW”. According to him, Hurghada’s water supply was coming from the Nile. The cost of water transfer was very high considering the required infrastructure and power supplies to pump the water from the river to there. “The developments of desalination technology provided a cheaper solution, so we collaborated with the government in building our plants there and other coastal cities to provide clean water at a reasonable price,” he added. The company uses public-private partnership (PPP) agreements with many governments, in which it provides funding for the projects and then operates them for 20 or 30 years in order to get the investments back in a business model known as build-operation-transfer. Most of Metito’s partnerships are with Orascom Investment Holdings in Egypt as PPP. Madwar is optimistic about the growth of the company in the Egyptian market, as the government seeks to build more desalination plants for new cities to ease pressure on the Nile’s water supply. “We have a plan to inject more investments in PPP projects with the Egyptian government. We see that the Benban Solar Park is a good start for doing more PPP projects with the government in many sectors,” Madwar said. Hemeida highlighted that the company also invests in research and development, and has partnerships with many technology firms that work on new technologies of autonomous systems to manage the plants and apply artificial intelligence in the industry. “We believe in technology and what it can do for our business. We have decreased the costs of production and the environmental impact of desalinating sea water, yet there is more which technology can do in the future,” he finally added. The post Signify to install Li-Fi technology in Egypt within upcoming 3 years appeared first on Daily News Egypt. Signify, previously Philips Lighting, considers Egypt as an important regional hub to increase its exports to North and East Africa in the company’s growth plans for 2019. The company won a deal to install its smart lighting systems at five stadiums in Egypt where the African Cup of Nations 2019 will be held. The company’s revenues were EGP 700m during last year, and it targets to reach EGP 1bn in 2019. Recently, Signify partnered with the Egyptian Ministry of Antiquities in order to illuminate Cairo’s Mohamed Ali Palace with more than 600 LED lamps, as well as 80 flood lights and up lights, as a part of a series of projects to install low-energy LED lighting systems in a number of cultural and heritage sites and public facilities in Egypt, including the Egyptian Museum in central Cairo, the Baron Palace, and the Cairo Opera House. Mohamed Abo El-Azayem, the general manager of Egypt and East Africa at Signify, told Daily News Egypt that he expects the instalment of Li-Fi technology in the country to be carried out within the upcoming three years. The technology turns light bulbs into an internet transmitter as traditional Wi-Fi networks struggle to cope with demand. According to Abo El-Azayem, there are some “normal” challenges which face installing the technology, such as the cost which is still high, in addition to the ongoing researches on Li-Fi in order to improve its features and properties. He believes that once the cost is reduced, the installing of it in a country such as Egypt will begin, some firms started to use Li-Fi in their internal network. Moreover, Abo El-Azayem highlighted that there is a current growing demand for the products which save power and reduce the electricity bills for businesses or individuals, therefore the company is focusing on manufacturing its products to consume less energy. “In smart homes, we have taken into consideration the internet of things, so that customers have an easier way to manage their usage of energy in houses. We also have some clients who request these services to be installed in the projects,” he added. The post Microsoft collaborates with Telecom Egypt to announce its first cloud network in Egypt appeared first on Daily News Egypt. Barcelona-Microsoft Corp and Telecom Egypt announced their collaboration on Wednesday, during MWC Barcelona 2019, to extend Microsoft’s cloud network to Egypt. Telecom Egypt will provide low-latency connectivity into and across Egypt to help enhance performance and increase reliability for customers of Microsoft services. The collaboration will increase Microsoft’s reach to the large Egyptian market in addition to improving connectivity across North Africa and the Middle East. Microsoft’s global network is one of the largest and most innovative in the world. It connects Microsoft’s cloud infrastructure of more than 100 datacenters, 135 edge node locations, and more than 100,000 miles of fiber and undersea cable systems to deliver Microsoft services to customers. The new point of presence in Egypt will benefit from a direct connection to Microsoft’s global infrastructure to enhance the delivery of numerous services for customers. Microsoft’s network investment will increase capacity and use the latest in network optimization for the delivery of Microsoft services in Egypt. The post Samsung Galaxy S10 revealed: triple cameras, ultrasonic fingerprint sensors, 5G appeared first on Daily News Egypt. Samsung, the tech giant, unveiled on Wednesday a new line of smartphones-the Galaxy S10. The new smartphone comes with triple-cameras, ultrasonic in-display fingerprint sensors, and is the first mainstream phone to have one-terabyte (TB) of storage. The inauguration of the Galaxy S10 is considered to be the tech firm’s most important event this year, as Samsung is fighting intense competition from China’s Huawei and the US’s Apple. The S10 comes in versions initially priced at $749 for the entry level, the 5.8in S10e at $899 for the 6.1in Galaxy S10, and $999 for the 6.4in S10+. Meanwhile the 6.4in S10 5G’s price has yet to be announced. The launch comes days before the Mobile World Congress-the world’s largest mobile industry exhibition set to take place in Barcelona-where Samsung’s rivals will disclose new handsets of their own. The Galaxy S10’s new Infinity-O display-which will have a small hole directly in the screen-will attract buyers and prove that the company is able to build on its previous successes with new innovations and additions to the already successful Galaxy range. Samsung is attracting customers through offering a device with top-of-the-line processors, in-display fingerprint scanners, and a new triple-camera system. The Galaxy S10 and S10+ have a new 16-megapixel ultra-wide-angle camera, a 12-megapixel wide-angle camera, and a 12-megapixel telephoto camera on the back – which is a similar combination used by Huawei’s Mate 20 Pro to a great extent. Meanwhile, the smaller Galaxy S10 will have a 6.1in screen with a 10-megapixel selfie camera. The larger Galaxy S10+ has a 6.4in screen with an oval-shaped hole containing a dual-selfie camera for refined images. Both versions will have at least 128GB of storage but the top-of-the-line S10+ also comes in a special version with a ceramic back, 12GB of RAM and 1TB in storage – a first for a mainstream phone. In addition to this, Galaxy launched a smaller and cheaper version of its new flagship, Galaxy S10e, which has a 5.8in screen which is flat and a more traditional capacitive fingerprint scanner on the side. Moreover, the smartphone will include a 5G version which will be available for purchase later on this year, to coincide with the launch of a new 5G networks in some countries. Samsung also launched a foldable smartphone-the Galaxy Fold, which is the first smartphone to fold into a tablet. Samsung said the Galaxy Fold would open up to create a 7.3in (18.5cm) tablet-like display and would be able to run up to three apps at once. A demo showed off the features by which the device transferred from one mode to another much more smoothly than had been the case with an earlier foldable phone-Royole’s FlexPai. The Galaxy Fold is set to launch on 26 April and will start at $1,980. The Middle East’s homegrown digital marketplace, noon, has announced its imminent expansion into Egypt. The post Digital marketplace noon to expand into Egypt appeared first on Daily News Egypt. The move will mark a significant step in noon’s growth journey since its successful launch in Saudi Arabia and the United Arab Emirates just over a year ago. As it prepares to enter its third regional market, noon promises to bring customers in Egypt more choice, affordability, and convenience across a wide range of products including electronics, fashion, beauty, infants, and homeware including kitchen appliances, as well as free and fast delivery and free returns. Customers in Egypt are welcome to try noon’s offering via desktop or app, shopping across a wide range of products at incredible prices, during this initial test period. The noon Egypt is based in Smart Village, Cairo’s technology and innovation led business district, and the team on ground is currently in the testing phases prior to the official launch. The e-commerce platform also has a fully operational Customer Fulfilment Centre (CFC) in Greater Cairo’s Abu Rawash area, with plans to include five additional CFCs to ensure service to all cities and governorates is quick and efficient. noon will also be looking to recruit Egyptian talent to join the local team. Supporting and empowering the community, hiring and nurturing local talent is noon’s way of actively encouraging youth entrepreneurship which will contribute to the nation’s growing digital economy. noon will use its local roots in Egypt to deliver a service that is friendly, reliable, and personalised. With a large percentage of the population under thirty, and the highest number of Internet users in the Arab world, Egypt’s youth has tremendous potential to build a vibrant tech-based economy. The post Huawei founder hits back… “There’s no way the US can crush us” appeared first on Daily News Egypt. Ren Zhengfei, the founder of Huawei, insisted that the US cannot crush the tech firm, as he hit back against criminal indictments levelled at the firm and allegations that it poses a security threat. Zhengfei-whose daughter Meng Wanzhou is a fellow senior Huawei executive, is among those charged by US prosecutors-told the BBC that the firm would survive the pressure. “There’s no way the US can crush us. The world cannot leave us because we are more advanced. Even if they persuade more countries not to use us temporarily, we can always scale things down a bit,” Huawei’s founder said. His daughter was arrested in Vancouver in December at the request of the US and charged with bank and wire fraud to violate American sanctions against Iran. Zhengfei accused Washington of leading a politically motivated investigation into his firm. “Firstly, I object to what the US has done. This kind of politically motivated act is not acceptable. The US likes to sanction others; whenever there’s an issue, they’ll use such combative methods. We object to this. But now that we’ve gone down this path, we’ll let the courts settle it” he said. Last week, the US secretary of state, Mike Pompeo, warned that US cooperation could be downgraded in nations that chose to maintain a strong Huawei presence, after Washington had reportedly been pressing London and other allies not to use the firm’s technology in critical infrastructure. The post AI creates new skills gap in cybersecurity: study appeared first on Daily News Egypt. The cybersecurity skills shortage has long been a problem, according to recent report by the Enterprise Strategy Group (ESG) which found that the gap in skills shortage is growing. The report found that IT groups have once again stated cybersecurity skills represent the biggest area they experience a problematic skills shortage in. The percentage of groups facing this security skills shortage has more than doubled in the last five years. In 2014 and 2015, the percentage of respondents claiming a problematic cybersecurity skills shortage was 23% and 25%, which went up to 46% and 45% respectively in 2016 and 2017. In 2018, the figure grows to a booming 51%, creating greater concerns in this space. The ESG also found that 18% of organisations believe their existing cybersecurity team cannot keep up with mounting threats; 22% believe their security team is not large enough to protect their organisation, and that over half of these organisations reported suffering a breach within the prior two years. The breaches’ success was contributed to by their organisation’s skills shortage. This volume of breaches caused by understaffed security teams is likely to only increase in coming years, as the cybersecurity skills gap continues to grow to two million unfilled jobs by the end of next year, with the cost of cybercrime projected to reach $6tn by 2021. The post TE will receive EGP 5.5bn of shares in Vodafone revenues appeared first on Daily News Egypt. The post GoodsMart, online grocery app, secures additional funding from Algebra Ventures appeared first on Daily News Egypt. GoodsMart, the household shopping application, has announced that it has secured additional funding from ​ Algebra Ventures, one Egypt’s leading venture capital funds, ahead of its upcoming Series B round. The app pioneers unattended delivery in the MENA region through offering clients an effortless and hassle-free shopping experience using the GoodsMart box, a sleek app, a wallet system for easy payment, and an efficient delivery model. “Every single person in the team works to push client satisfaction to unprecedented levels. This is clearly reflected in our customer testimonials and organic engagement on social media, and in our cohort retention rates of over 70% a year in,” said GoodsMart’s Founder and CEO, Amr Fawzi. Algebra Ventures invested $750,000 in GoodsMart’s Series A round in April 2017. According to Algebra Ventures’ Managing Partner, Tarek Assaad, GoodsMart is a uniquely innovative company with tremendous upside potential, and the team managed to improve the start-up’s operational efficiency following the first round of investment. “We are delighted to continue supporting GoodsMart beyond our initial investment,” he added. This investment comes as GoodsMart prepares to raise its Series B investment round. The start-up managed to grow its business three-fold in the last six months, and it plans to use the acquired investment to further scale its business, upgrade its warehouse facilities, and bolster its operational capabilities. The post Siemens completes establishment of Toshka electrical substation’s extension appeared first on Daily News Egypt. Siemens has completed building and connecting the extension of Toshka electrical substation, southern Egypt, after three months of work, Siemens revealed on Monday. The new extension paves the way for the implementation of the Egypt-Sudan electric interconnection project. The new 220 kv air-insulated substation (AIS) will dispatch around 400MW of electricity to secure reliable power transmission coupled with minimal losses of transferred power, added the statement. The substation, which is located near the Egyptian-Sudanese boarder, about 1,300 km away from Cairo, will play a strategic role in the upcoming Egypt-Sudan electric interconnection project, the statement noted, adding that the project links the national grids of both countries, from Toshka city in Egypt to Dongola in Sudan, via a 170-kilometre transmission line. “The new project comes in line with Egypt’s national plan to share power with neighbouring countries as well as drive more dynamic African cooperation in different areas, including energy,” said Sabah Meshaly, chairperson of the Egyptian Electricity Transmission Company. The extension of Toshka substation marks the first phase of this landmark project, which will expand access and lower the cost of electricity supply to homes and business in Sudan and promote sustainable development, she added. Under the agreement, Siemens was responsible for project management, engineering, designing, manufacturing, and delivering of core components for the extension of the substation, along with providing site management, testing, and commissioning on a turnkey basis. “Egypt-Sudan interconnection project is definitely a unique opportunity to unlock Africa’s vast energy potential,” said Farag El-Saadany, senior executive vice-president of Siemens in Egypt. The post Ericsson, Intel develop next-generation software defined infrastructure for 5G era appeared first on Daily News Egypt. The post Google, Apple criticised for Saudi app allowing men to track female relatives appeared first on Daily News Egypt. The post NTRA licences Etisalat Misr to provide triple-play services in compounds appeared first on Daily News Egypt. The post ITU announces details of WSIS Forum appeared first on Daily News Egypt. The details of the World Summit on the Information Society (WSIS), which will focus on information and communication technology (ICT) solutions to advance the United Nations sustainable development goals. As over half of the world’s population is now using the internet, the WSIS 2019 will showcase innovative examples of how countries, civil society, academia, and businesses are using ICTs to reach national and global development goals. local, regional, and international agencies, research institutions, and private sector companies that use tech to advance development. During the event, the WSIS ICT Accessibility Day will be celebrated with a focus on innovating technologies to benefit people with disabilities or special needs. The WSIS Forum 2019 is expected to have more than 3,000 participants, including 500 high-level policy-makers from over 150 countries, such as government ministers and experts, civil society leaders, academics, business leaders, and international organisations. 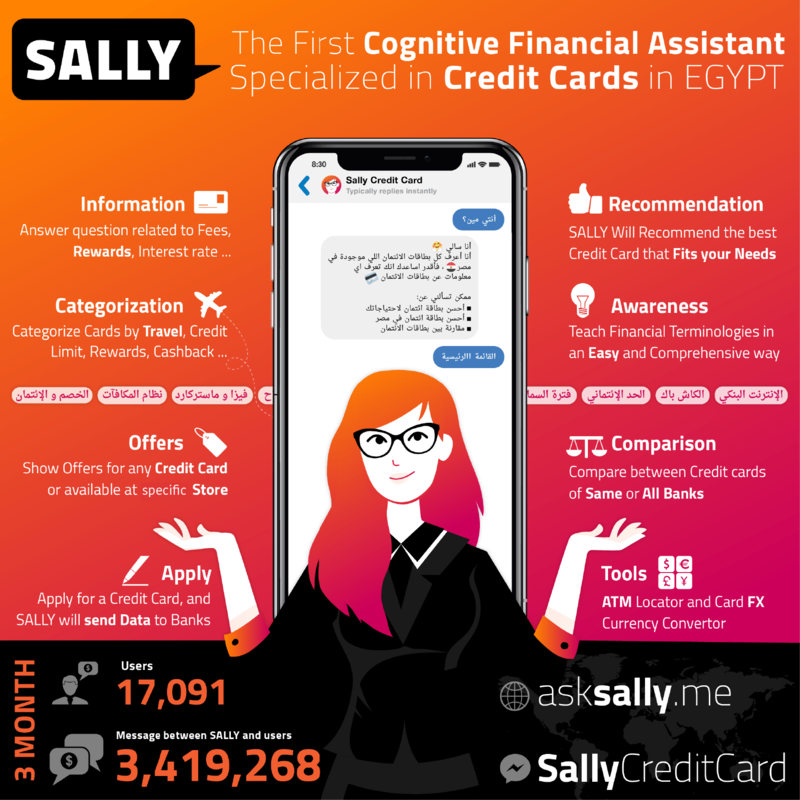 The post OECD estimates over 130 million new jobs emerge between humans, machines by 2022 appeared first on Daily News Egypt. The Organisation for Economic Co-operation and Development (OECD) expects that 133 million new jobs may emerge in the shake-up between humans and machines by 2022, as the world starts to witness the Fourth Industrial Revolution (4IR). The Secretary-General of OECD, Jose Angel Gurria, called on governments and institutions around the world to collaborate far more closely around the 4IR, to harness the opportunities of technological change to end poverty, curb inequalities, confront discrimination, and ensure vast numbers of people are not left behind. “The digital transformation can change the world, but we have to create a level playing field. In OECD countries alone, we estimate up to half of all people will be displaced or affected by technology” he said. The OECD’s projections suggest that one billion people worldwide lack the necessary digital literacy and skills to participate in the digital economy. This uneven broadband access means that less than half the world’s population uses the internet. Globally, 200 million fewer women are online than men. Furthermore, Gurria stressed that it is vital countries use digital technologies as a great equaliser, and not create a situation where they have to look after people who are unable to participate in a new digitally-driven economy. Gurria was a speaker in a plenary session titled ‘The Future of the Economy in the Age of 4IR’, at the seventh annual meeting of the World Government Summit, which is held on February 10-12 in Dubai, attended by more than 4,000 world leaders, policy makers and experts from over 150 countries. The post Indian doctors use technology to detect blindness in early stage appeared first on Daily News Egypt. Ramasamy Kim, head of retina services at an eye hospital in southern India, and his team have examined about 15,000 images from across the country showing the interior surface of the eyeball, known as the fundus over the past five years. The data has been assembled into an algorithm – a set of instructions built into a computer programme to identify eye complications arising from diabetes. Over time severe diabetes damages the tiny blood vessels of the retina. It causes them to leak blood and cholesterol. In many cases, the patient does not even realise this is happening. There are no symptoms until retinal tissue begins to swell, vision becomes cloudy and eyesight begins to fail. At this point, it is difficult to treat, and, in some cases, irreversible. Google and Verily say they have addressed the issue in India by working with well-established eyecare centres to build the raw data that their algorithm needs. “By partnering with well-known institutions, we can continue our research and pilot studies in implementing artificial intelligence(AI)-powered screening technology,” says Lily Peng, a Google product manager. Machines now can be trained to identify even the earliest stages of the diabetic retinopathy and grade it with as much accuracy as a human doctor. In developing countries, AI technology that employs data sets for machine learning is now expected to make rapid strides as an effective screening and diagnostic tool. In India, for example, it has the potential to save millions of lives. Big data and AI have yet come in for stinging criticism in recent years, over issues of privacy, fairness, accountability, and transparency. The post Palm oil users test new satellite technology to track deforestation appeared first on Daily News Egypt. The post Trump signs executive order to prioritise, promote AI appeared first on Daily News Egypt. The post School of the big city: electronic learning system, diagnostics in VR appeared first on Daily News Egypt. “School is an absolutely open system, open to parents, teachers, organisations from the outside. Schools initiate collaborations with businesses, scientific, and cultural institutions, urban projects. Moscow is a big city for education,” said Pavel Kuzmin, firector of the Moscow Center for Quality of Education and programme director of the “City for Education” forum. It is the time when the school and the teacher have to motivate the student to learn. In the era of the digital economy, education around the world rushes online, classroom electronic boards compete with a phone screen. How can advanced technologies be integrated into the education system? In Moscow, schools have created an infrastructure for knowledge acquisition and assimilation: Moscow Electronic School, diagnostics in VR, online service for self-training “My achievements” as well as vocational classes. In 2018, Moscow was the first one in the world to launch the knowledge diagnostics in virtual reality. The student does not take it as a test, that is unique in this format, it’s more about additional motivation and interest to the school subject. The project stimulates research skills, what is especially important in the natural sciences – chemistry, physics, and biology. The interactivity boosts an experimental spirit in school children. The VR laboratory is absolutely mobile. It looks like fully equipped bus that requires WI-FI connection. Every school can send a request to pass the diagnostics in VR. Moscow Electronic School is a unique and unified system for all parts of the educational process, a single electronic journal for teachers, students, and parents, a huge amount of content that teachers create by themselves: electronic lesson scenarios that any teacher can use absolutely for free. The project was presented at several international exhibitions and forums: “City for Education” forum in Moscow and Bett Show 2018 in London and the UAE at the international exhibition AKDAR. This is a real discovery for international colleagues. There is no such analogue on the international market, especially in such a scale. There are many resources for teachers abroad, but they are mostly paid. A unified system for all teachers, students, and parents created in Moscow is absolutely unique development. Vocational classes in schools are equipped no worse than leading enterprises and universities. Very few institutions can boast of such a set of equipment that was confirmed by international colleagues from Europe, who were visiting Moscow schools. International colleagues also express interest in the issue of school financing, and an open procedure for certification of directors. Every each student or teacher has an opportunity to check his or her level of knowledge on any subject at any time for free, and also to undergo the diagnostics in international studies like PISA and PEARLS even from a telephone, these are possibilities that an online service of self-preparation and self-test “My Achievements” gives. The service has more than 200,000 users, more than 750 testing options are available, as well as up-to-date final attestation tasks versions, which allows students to estimate their knowledges. The city as a space creates an ecosystem for people’s education, especially school kids and their parents. The project “Saturdays for schoolkids” suggests children to attend various lectures, master classes, and trainings at the city venues. Everything is open, free, and available for the whole family. All the advanced technologies of the Moscow education system were represented at the international forum “City for Education”, that had been gathering the best speakers from all over the world for two years. In 2018, it became the most visited educational forum in the world. The event visited more than 133,000 people within four days. The post Google celebrates Monuib’s 114th birthday appeared first on Daily News Egypt. The post Talaat witnesses signing of partnerships in ICT sector during WGS 2019 appeared first on Daily News Egypt. The post Accept for Technology, Payments partners with valU for online instalments appeared first on Daily News Egypt. 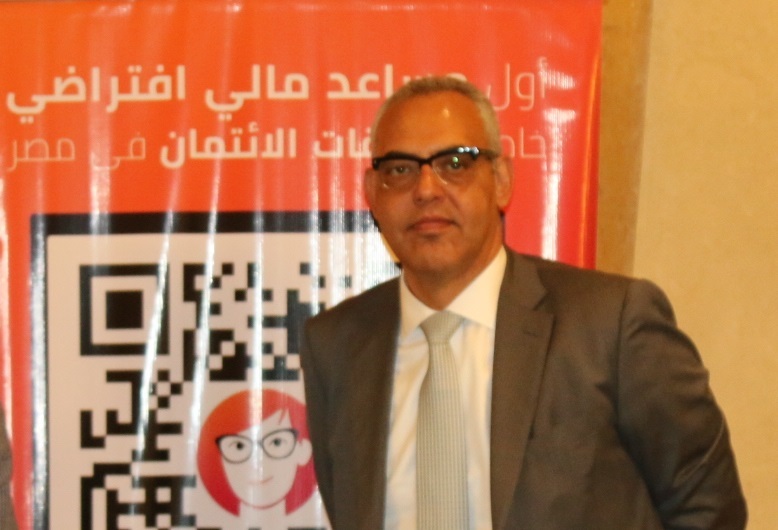 The post AFCON gives Egypt good opportunity to use digital payment: GSMA appeared first on Daily News Egypt. The post World marks SID under ‘Together for better internet’ slogan appeared first on Daily News Egypt. The post VR technology revolutionises house design appeared first on Daily News Egypt. The post GSMA members to discuss European ban on Huawei’s 5G equipment appeared first on Daily News Egypt. The post Biologists use GPS-GSM technology to track Egyptian endangered vulture appeared first on Daily News Egypt.